The Gathering has been organising, running & playing Warhammer 40k for upwards of 18 years now. If it's 40K you're into then this is the place you want to be! Below you will find links to Campaigns (current & from the past); Leagues; Battle Reports; & a gallery of photos. Our current 40K Winter Campaign has just kicked off & you want to see how it's progressing then click on the Guardsman below! 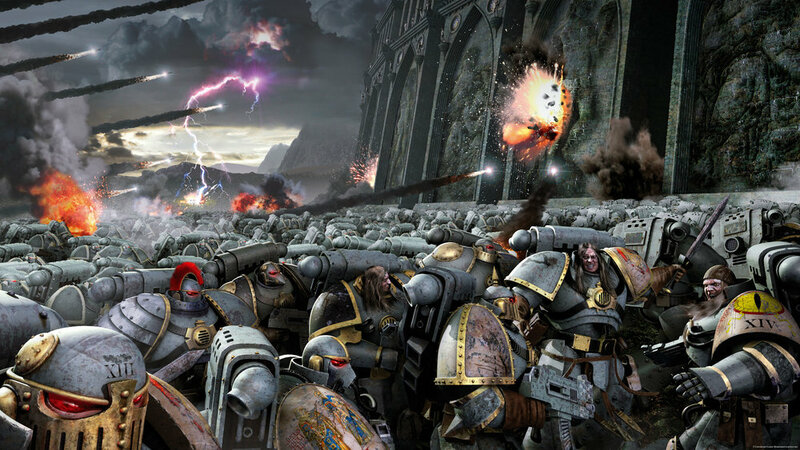 If you want to join in the Campaign or are just looking to get a friendly game in or even learn how to play 40K for the first time then drop in to us at The Gathering. And always remember: The Emperor Protects!